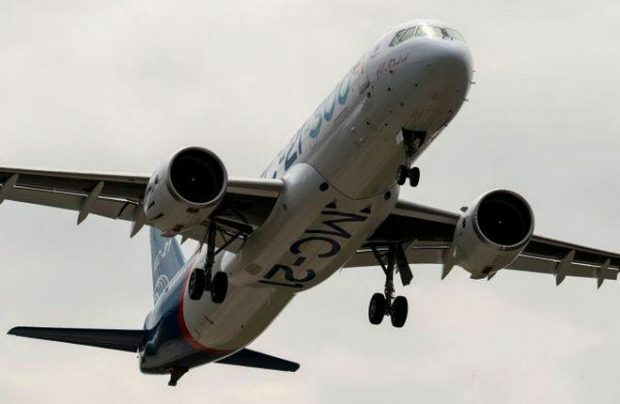 The second flying prototype of Russia’s Irkut MC-21 narrowbody program will join the flight test program in late February or early March this year, Russian Deputy Prime Minister Dmitry Rogozin has tweeted. Initially, the new stage of Russia’s next generation narrowbody program was scheduled to commence before the end of 2017. The first MC-21 prototype made its maiden flight on May 28, 2017. The aircraft has already started certification flight tests at Zhukovsky airfield outside Moscow. At the time of Rogozin’s tweet, the first prototype had reportedly performed 33 flights. The second prototype will join the certification program this coming summer. Certification with Pratt & Whitney PW1400G engines is scheduled for 2019. Assembly of the third prototype is to be completed in April 2018. The fourth prototype will be powered by Russian-made PD-14 engines; that powerplant is still under development, and United Engine Corporation in late December last year commenced the third phase of flight testing of the powerplant.